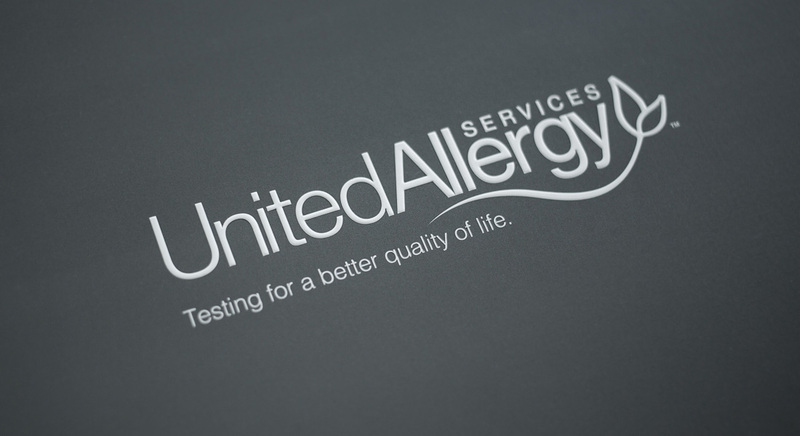 United Allergy Services is based in San Antonio, Texas with over 400 employees in 19 states. They specialize in setting up operational allergy testing and therapy centers in existing medical practices. Their marketing is directed at primary care physicians and doctors who are looking for an additional revenue stream in their practice. 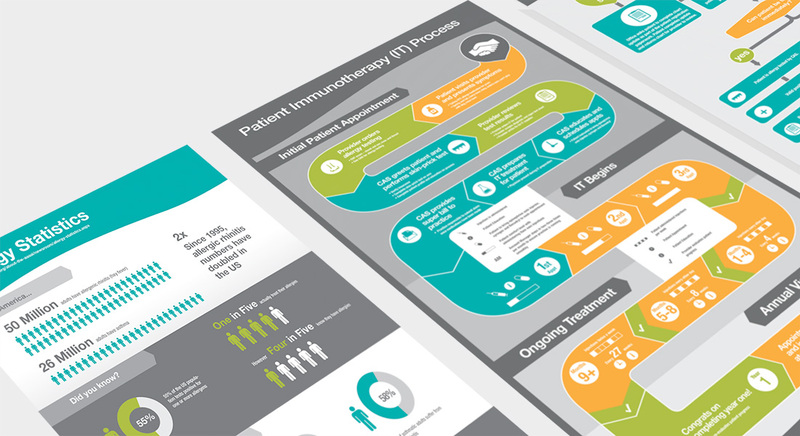 The company is growing at a rapid pace and United Allergy Services needed help with their identity and marketing to stay ahead of demand. 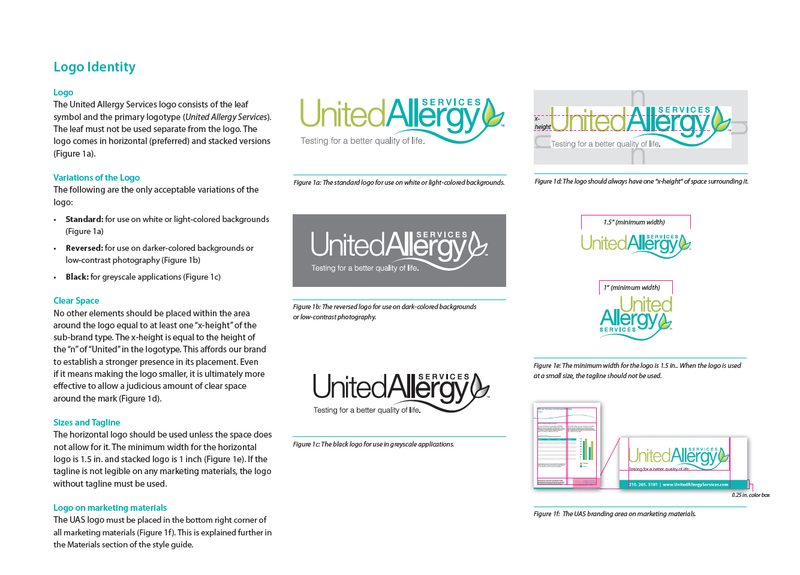 We helped strengthen the United Allergy Services brand by refining their identity and creating a brand standards manual for company use. 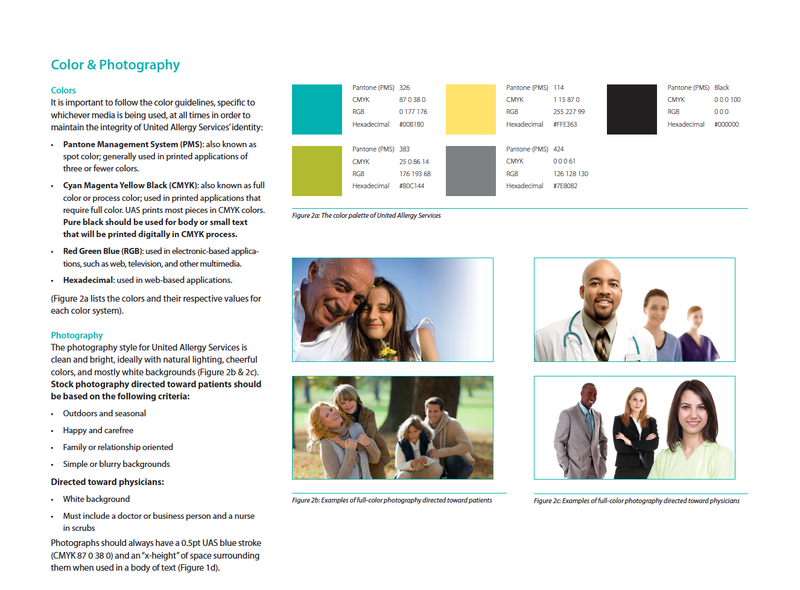 This document included how and when to use the logo, how to create a print ad, colors used in the brand, etc. We have also helped to develop various brands for employee programs, marketing campaigns, custom infographics for sales staff, marketing collateral, internal communication pieces and more.